We announced 3 one day DNS trainings in the end of February and all three trainings where fully booked within 24 hours. We are happy to see so much demand for DNSSEC in Switzerland. The one day training will give you an introduction into DNSSEC and show you how to sign DNS zones on an autoritative DNS server. We will use PowerDNS for the practical and hands on part. PowerDNS contains support for DNSSEC, enabling the easy serving of DNSSEC secured data, with minimal administrative overhead. Required skills: Unix system administrator skills and DNS server know how.The training will be delivered in english. Categories: DNS & DNSSEC, News | Tags: DNSSEC training | Permalink. Ever wondered what the DNS traffic looks like on a usual day on a .ch name server? This article briefly sketches the landscape of systems querying .ch domains. To be exact, the following statistics and statements are based on a small subset of the overall data since the underlying sources just consist of 2 out of 8 name servers, i.e. a.nic.ch and b.nic.ch. Overall the .ch zone consists of 8 name servers distributed all over the world. While some of them are setup as anycast network, others are set up traditionally as unicast servers located in a single data center. We capture the DNS traffic as pcaps and subsequently process and store it with the help of Entrada which relies on HDFS and Impala. Currently, we operate a Hadoop cluster with 7 data nodes which provides us with a good basis for future in-depth analysis. The following sections discuss two statistics that we publish on www.nic.ch in greater detail. Who queries the name servers? To start with, let’s have a look at who queries our name servers. Figure 1 shows the top 10 countries in terms of generated DNS traffic observed during week 4 of 2018. Additionally, the share of distinct IP addresses per country is displayed with a second bar. Since the original DNS traffic does not contain explicit information about the country where the query originates from this information is being added by Entrada with the help of the Maxmind database. To have a more representative image of the DNS landscape, Google resolvers and OpenDNS resolvers are excluded from this statistic. Although from the queries themselves one cannot be sure about the nature of the querying system, for convenience, throughout this article we’ll call those systems resolvers. Categories: DNS & DNSSEC | Permalink. Update 28.2.2018: All three trainings are fully booked after only 24 hours. We are happy to see so much interest in DNSSEC in Switzerland. Waitlist is now open. 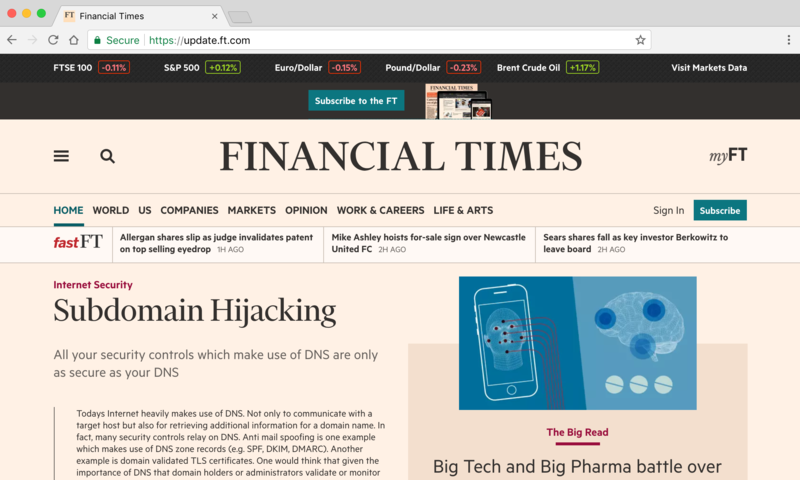 Quad9 – does it offer a data protection-friendly alternative to Google DNS? Categories: Attacks, Awareness, Background, DNS & DNSSEC | Permalink.